Big Brother Naija house has 8 housemates left in the house, 5 female housemates that include; Khloe, Alex, Anto, Cee-C and Nina plus 3 male housemates that include Miracle, Tobi and Lolu. Last night, male housemates were dealt a blow when Rico Swavey became the next housemate to be evicted from the Big Brother House, he got 7%. 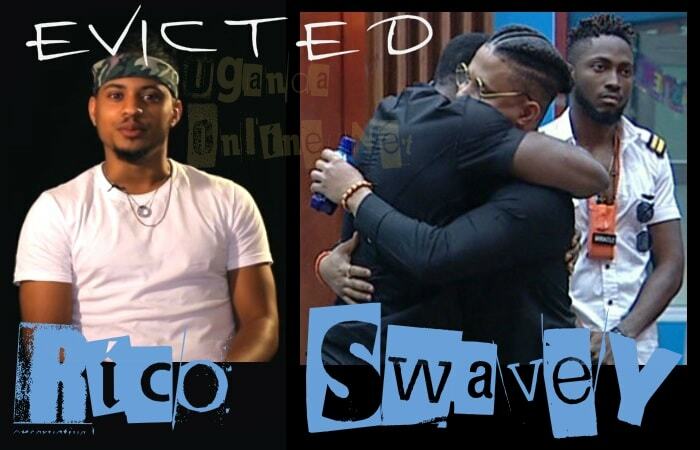 Six housemates were up for eviction, including lovers Miracle and Nina, Alex, Cee-C, Lolu and Rico Swavey who was not very lucky. Last week, lovers Bambam and Teddy-A were evicted on Saturday and Sunday respectively, ending their dream of becoming N45 million richer. Khloe, Alex, Anto, Cee-C, Lolu, Miracle, Nina and Tobi are the housemates left.